HomeThe Brothers Kaschak Marching On EP! 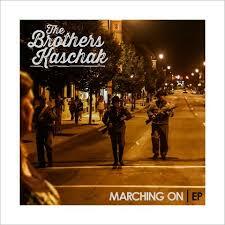 The Brothers Kaschak Marching On EP! We wanted to both thank Sean and Mark of The Brothers Kaschak for calling into the show to talk about their upcoming performances and their new EP! And yes, they are actually brothers! You can find out more information about them on their facebook page!